The newly facelifted Mercedes-Benz S-Class also includes an upgrade of the plug-in hybrid powertrain. The further developed components and the new anticipatory functions of the intelligent powertrain management give the customer enhanced electric performance, convenient inductive charging, shorter charging times at the wallbox charging station and an electric range of up to around 50 km in the NEDC. The first hybrid generation at Mercedes-Benz was introduced in 2009 in the S 400 Hybrid as a P1 system with 20 kW of electric drive power. The strengths of this full hybrid system were increased efficiency thanks to regenerative braking and better agility due to electric boost coupled with the low additional weight of the hybrid system. 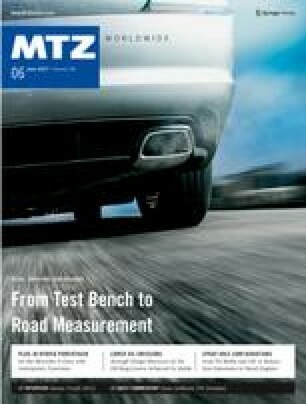 The authors wish to thank Dr. Reinhard Orthmann, Dr. Markus Dietze, Matthias Schlutter, Stefan Wenkeler, all Daimler AG, for their support in creating this article.